This course is for anyone who wants develop a familiarity with Adobe Photoshop and what this powerful program offers it's users for print or web-based design projects. This is a 2 day trainer led course. Adobe Photoshop is the industry standard professional image editing software. It is the current leading image editing program of choice for graphic designers, photographers and web designers, though it is widely used by people at any skill level who want to touch-up or manipulate images, and produce a professional output for both print and web media. 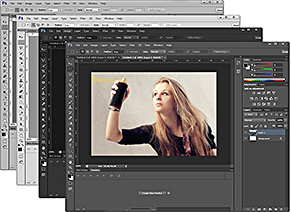 Photoshop is part of the Adobe Creative Suite (CS) and comes integrated with Adobe Bridge, an application designed to organize and enable image management amongst most the CS programs. By enabling the efficient transfer of images and documents from other programs within the suite, such as Illustrator, Adobe fosters an effortless, timesaving workflow environment. Our introductory Photoshop training course aims to develop your familiarity with the workspace, tools and features that this powerful program offers its users for print or web-based design projects. To attend the Introduction to Adobe Photoshop course you should have experience using either the Windows or the Mac operating systems, be capable of basic file management and know how to use standard menus and commands. No previous design or graphics/image editing software experience is required, however, a basic knowledge of graphic design, a bit of creative flair and an eye for detail are always helpful. Previous experience using any of Adobe's Creative Suite software is also beneficial but not essential. 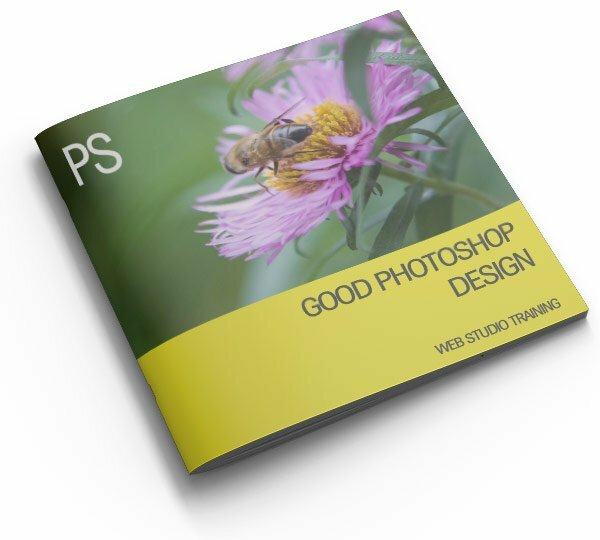 The Photoshop training course will readily guide you through the workspace, toolbox and multiple panels, which allow you to customise your workspace to best meet your final media output goals, be they for print or the Web. Working within the Creative Suite, we will briefly touch on how Photoshop correlates with some of the other CS programs. 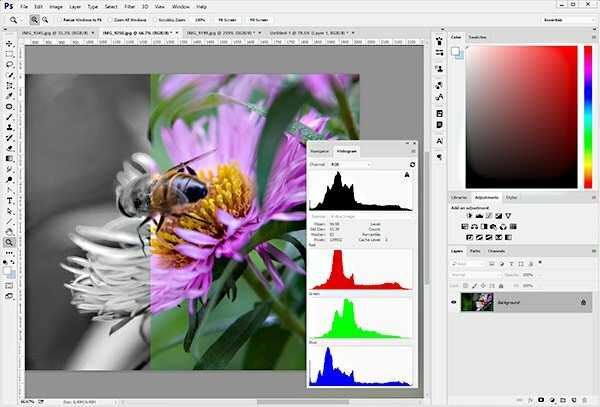 Incorporating hands-on practice lessons will teach you to the basics of image resolution, colour-space and how and when to use certain selection tools. You will also gain an understanding of how to obtain the best possible use and control of Photoshop's powerful layers features. This will include applying effects, styles, working with text and managing groups of layers to better organise your work. We will also cover how to utilise masks and channels to allow one even greater control of photo enhancement. In conjunction with all of these techniques, colour control and the use of filters, you will be able to build one professional looking image out of many components. Further building on these foundations, we will look at how Photoshop handles characters, paragraphs and how typography can be enhanced and manipulated. Finally, we will look at the output functions within Photoshop to either proof your images for print or optimise them for web publication. Bjorn is an Adobe Certified Instructor and Adobe Certified Expert in Photoshop, the industry recognised certification for Adobe products. He has been involved in working with and training Adobe products for over 15 years. He has a wealth of experience using Photoshop and Lightroom for editing digital media for use in print, web and video campaigns. Having insights into both the design and development worlds, he is able to understand the capabilities of design packages such as Illustrator, Flash and Photoshop as well as develop with server side platforms such as PHP. The trainers of our Adobe training courses are familiar with most previous versions of Adobe's Creative Suite and therefore will be able to guide your learning no matter which version of the software you have. We try to provide course content that is generic to versions CS3 to CS6, but your trainer will also showcase the features of the latest version. Currently we demonstrate the functionality of the Adobe CS6 and Creative Cloud suite. This Photoshop training course is run from our rooms on Jubilee Campus in Nottingham, which is part of the University of Nottingham's Innovation Park. These are serviced by a state-of-the-art tram system allowing easy access to the city centre as well as direct hourly rail services from London, Liverpool, Manchester, Birmingham, Derby and Leicester. Bjorn, has a plethora of WordPress and technical knowledge and delivers his course with interest and conviction and I would not hesitate to recommend web studio training. Thanks two great day of learning and practice.